Songs have been written about it. Movies have been filmed about it. Legends have been made on it and Stories have been told about it. 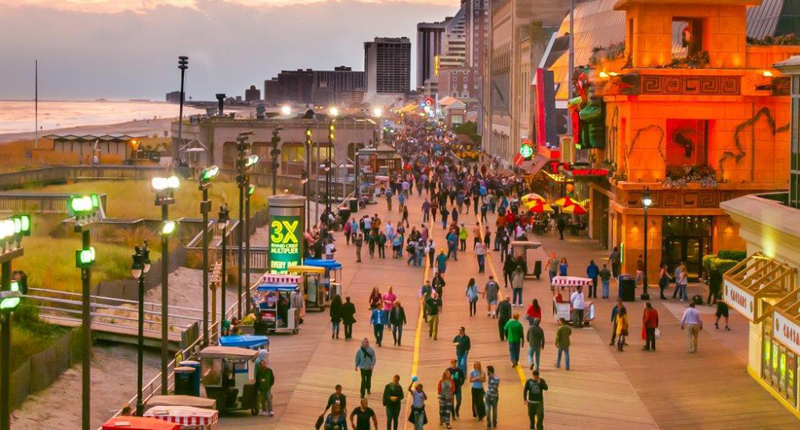 Since the 1800’s world-famous City by the Sea, Atlantic City, and the legendary Atlantic City Boardwalk and have been the epicenter of entertainment and people watching! We invite you to take a stroll on the iconic world-famous Boardwalk where history and present day collide with fortune tellers, eclectic souvenir shops, arcades, amusement piers, Boardwalk food and the largest musical instrument in the world. Pick up some original salt water taffy and try your hand at a good old fashion taffy pull or take a ride in an iconic rolling chair. Atlantic City’s attractions are known to be unique, diverse, and yes, even a little odd. If you’re enchanted by the coveted Miss America crown, don’t miss the Miss America Rose Walk, a collection of bronze plaques featuring Miss America quotes embedded in the sidewalk along Michigan Avenue. The focal point of the Rose Walk is a bronze statue of Bert Parks located in the Rose Garden at Sheraton Hotel, host of the Miss America competition from 1955 to 1980. Visitors can take advantage of a once-in-a-lifetime photo opportunity by posing under the crown in the statue’s outstretched hands as a motion sensor triggers the playing of the pageant’s traditional theme song, “There She Is, Miss America” through an enhanced digital sound system. Located on the Boardwalk, the Ripley’s Believe It Or Not! Museum is a fascinating look into the world of the bizarre and unusual. From Vlad the Impaler, to shrunken heads, to the girl down the well, you’ll find new oddities, wondrous exhibits and family-fun adventures around every turn. Also, on the Boardwalk, you’ll find Haunted Tales offering exciting tales about the Jersey Devil, pirates and more. Haunted Tales is for the brave of heart and includes a coffin ride where visitors experience the sights, sounds and smells of being buried alive. Only a few are brave enough to make it through the entire ride. Celebrated as one of the best shopping destinations on the East Coast, Atlantic City offers upscale retailers, brand-name discount outlets, unique boutiques and everything in between. At Atlantic City’s Tanger Outlets the Walk, you can spend the day bagging bargains from more than 100 retail outlets like Michael Kors, Coach, Kenneth Cole, Guess and DKNY. The Playground on the Boardwalk across from Caesars Hotel & Casino delivers an upscale shopping experience with designer stores from Michael Kors, Apple, Tiffany & Co. and Louis Vuitton. The Playground is also known for some of the city’s most renowned dining and entertainment experiences, including a new trendy nightclub with spectacular floor to ceiling windows, fabulous restaurants from famous Chef Stephen Starr and fresh seafood from sushi to lobster at Phillips Seafood House and Souzai Sushi. Take a swim in the beautiful Atlantic Ocean, dig your toes into our white sandy beaches and let the sun and salt air soothe you soul. You will see why more than 26 million people visit Atlantic City each year. 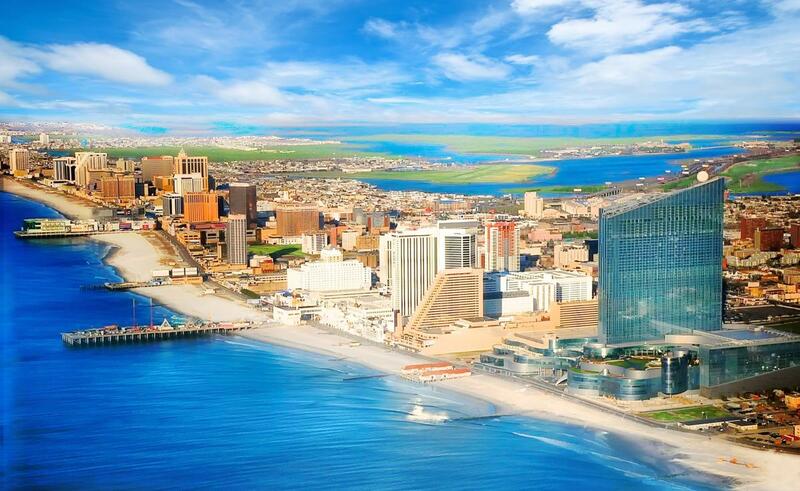 Meet AC, the destination authority for Atlantic City can assist with all of your travel plans, from hotels to itineraries, transportation to tours. Please take a look at tour website www.touratlanticcity.com or contact Heather Colache 844-855-6338 m hcolache@meetac.com .